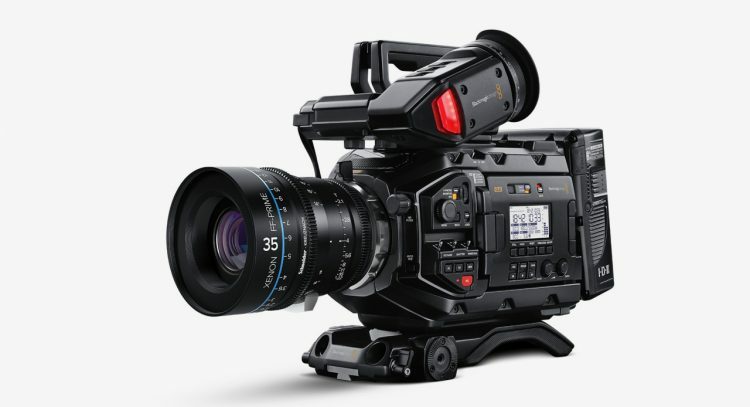 The first official footage from the yet-to-be-released Blackmagic URSA Mini Pro G2 camera has emerged courtesy of Australia-based cinematographer Garth de Bruno Austin. The sample footage, which you can see below, contains shots filmed at different resolutions including full sensor 4.6K at 120fps as well as cropped 2K at 300fps slow motion. The two lenses used were the Sigma 18-35mm f1.8 and the Sigma 70-200mm f2.8, which are both incredible workhorse lenses for corporate and documentary productions (and many others). Garth shot at different Blackmagic RAW compression levels such as 8:1 and 3:1, while mostly keeping the ISO at 800. The URSA Mini Pro G2 is priced at $5995, however it is not clear yet when it will start shipping. Given the current BMPCC 4K backlog, many of us are hoping that the URSA Mini Pro G2 production and release does not mirror the shortage of Pocket 4K cameras. Blackmagic Design Generation 4 Colour Science. Optional PL, B4 and F lens mounts available separately. So, what are your thoughts on the new URSA Mini Pro G2 footage? I think it looks very promising, especially the new 300fps slow-motion frame rates, even when cropped. I am not sure what they’ve done with the sensor in the G2, they say it’s new, but whether it’s “brand new” or more of a “tuned/improved” version of the existing S35 sensor in the OG Ursa Mini Pro 4.6K in order to facilitate the new, higher frame rates this is open for debate (and semantics). However, I don’t think that’s relevant here – the image is what matters, and from what I am seeing here the G2 does look very promising. To read more about the new Blacmagic URSA Mini Pro G2 camera, including full specifications, head over to Blackmagic Design.